"Coming Apart At The Themes"
Even when a story has memorable characters, a riveting plot and a fully developed genre, it may still be coming apart at the themes. Theme is perhaps the most powerful, yet least understood element of story structure. It is powerful because theme is an emotional argument: It speaks directly to the heart of the reader or audience. It is least understood because of its intangible nature, working behind the scenes, and between the lines. When mis-used, theme can become a ham-handed moral statement in black and white, alienating the reader/audience with its dogmatic pontifications. When properly used, theme can add richness, nuance, and meaning to a story that would otherwise be no more than a series of events. In this article, we'll separate the elements of theme by their dramatic functions so we can understand the parts. Then we'll learn how to combine them together into a strong message that is greater than the sum of the parts. What do we really mean by the word, "theme?" In fact, "theme" has two meanings. The first meaning is not unlike that of a teacher telling a class to write a theme paper. We've all received assignments in school requiring us to express our thoughts about "how we spent our summer vacation," or "the impact of industrialization on 19th century cultural morality," or "death." Each of these "themes" is a topic, nothing more, and nothing less. It functions to describe the subject matter that will be explored in the work, be it a paper, novel, stage play, teleplay, or movie. Every story needs a thematic topic to help hold the overall content of the story together, to act as a unifying element through which the plot unfolds and the characters grow. In fact, you might look at the thematic topic as the growth medium in which the story develops. Although an interesting area to explore, the real focus of this article is on the other element of theme. 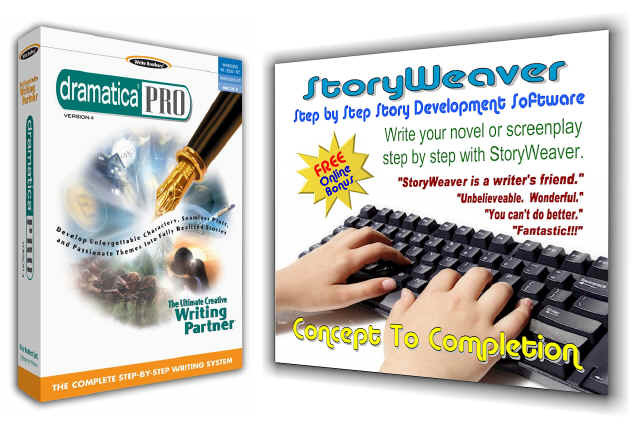 This second aspect of theme is the message or premise of your story. A premise is a moral statement about the value of or troubles caused by an element of human character. For example, some common premises include, "Greed leads to Self-Destruction," and "True love overcomes all obstacles." A story without a premise seems pointless, but a story with an overstated message comes off as preachy. While a premise is a good way to understand what a story is trying to prove, it provides precious little help on how to go about proving it. Let's begin by examining the components of "premise" and then laying out a sure-fire method for developing an emotional argument that will lead your reader or audience to the moral conclusions of your story without hitting them over the head. All premises grow from character. Usually, the premise revolves around the Main Character. In fact, we might define the Main Character as the one who grapples with the story's moral dilemma. A Main Character's moral dilemma may be a huge issue, such as the ultimate change in Scrooge when he leaves behind his greedy ways and becomes a generous, giving person. Or, the dilemma may be small, as when Luke Skywalker finally gains enough faith in himself to turn off the targeting computer and trust his own instincts in the original Star Wars movie (Episode IV). Either way, if the premise isn't there at all, the Main Character will seem more like some guy dealing with issues, than an example in human development from whom we can learn. Traditionally, premises such as these are stated in the form, "This leads to That." In the examples above, the premises would be "Greed leads to Self Destruction," and "Trusting in Oneself leads to Success." The Point of each premise is the human quality being explored: "Greed" in the case of Scrooge and "Self Trust" with Luke. We can easily see these premises in A Christmas Carol and Star Wars, but what if you were simply given either of them and told to write a story around them? Premises are great for boiling a story's message down to its essence, but are not at all useful for figuring out how to develop a message in the first place. So how do we create a theme in a way that will guide us in how to develop it in our story, and also sway our audience without being overbearing? First, we must add something to the traditional "This leads to That" form of the premise. Beside having a thematic Point like "Greed" we're going to add a Counterpoint - the opposite of the point - in this case, "Generosity." Arguing to your audience that Greed is Bad creates a one-sided argument. But arguing the relative merits of Greed vs. Generosity provides both sides of the argument and lets your audience decide for itself. Crafting such an argument will lead your reader or audience to your conclusions without forcing it upon them. Therefore, you will be more likely to convince them rather than having them reject your premise as a matter of principle, making themselves impervious to your message rather than swallowing it whole. We all have human qualities we admire and others we despise. Some might be as large as putting oneself first no matter how much damage it does to others. Some might be as small as someone who borrows things and never gets around to returning them. Regardless, your message at this stage will simply take the form, "Human Quality X is Bad," or "Human Quality Y is Good." If you are going to create a message that is passionate, look to what truly irks you, or truly inspires you, and select that human quality to give to your Main Character. Then, you'll find it far easier to come up with specific examples of that quality to include in your story, and you will write about it with vigor. This is your chance to get up on the soapbox. Don't waste it on some grand classic human trait that really means nothing to you personally. Pick something you really care about and sound off by showing how that trait ennobles or undermines your Main Character. As a last resort, look to your characters and plot and let them suggest your thematic point. See what kinds of situations are going to arise in your story; what kinds of obstacles will be faced. Think of the human qualities that would make the effort to achieve the story's goal the most difficult, exacerbate the obstacles, and gum up the works. Give that trait to your Main Character, and you'll be pleasantly surprised to see it take on a life of its own. Of course, you may already know your message before you even get started. You may, in fact, have as your primary purpose in creating the story the intent to make a point about a particular human quality. No matter how you come up with your message, once you have it, move on to step 2. As described earlier, the Counterpoint is the opposite of the Point. So, if your story's message is "Being Closed-Minded is Bad," then your Point is "Being Closed Minded," and your Counterpoint is "Being Open Minded." Similarly, if your message is "Borrowing things from others and not returning them is Bad," then your counter point is "Borrowing things from other and returning them." Note that we didn't include the value judgment part of the message (i.e. "Good" or "Bad") as part of the point or counterpoint. The idea is to let the audience arrive at that conclusion for themselves. The point and counterpoint simply show both sides of the argument. Our next step will be to work out how we are going to lead the audience to come to the conclusion we want them to have. 3. Show how well the Point does vs. the Counterpoint. The idea here is to see each of the two human qualities (point and counterpoint) in action in your story to illustrate how well each one fares. To this end, come up with as many illustrations as you can of each. For example, in A Christmas Carol, we see scrooge deny an extension on a loan, refuse to allow Cratchet a piece of coal, decline to make a donation to the poor. Each of these moments fully illustrates the impact of the thematic point of "Greed." Similarly, in the same story, we see Feziwhig spending his money for a Christmas Party for his employees, Scrooge's nephew inviting him to dinner, and Cratchet giving of his time to Tiny Tim. Generosity is seen in action as well. Each instance of Greed propagates ill feelings. Each instance of Generosity propagates positive feelings. As the illustrations layer upon one another over the course of the story, the emotional argument is made that Greed is not a positive trait, whereas Generosity is. 4. Avoid comparing the Point and Counterpoint directly. Perhaps the greatest mistake in making a thematic argument is to directly compare the relative value of the point and counterpoint. If this is done, it takes all decision away from the audience and puts it right in the hands of the author. The effect is to have the author repeatedly saying, "Generosity is better than Greed... Generosity is better than Greed," like a sound loop. A better way is to show Greed at work in its own scenes, and Generosity at work in completely different scenes. In this manner, the audience is left to drawn its own conclusions. And while showing Greed as always wholly bad and Generosity as always wholly good may create a rather melodramatic message, at least the audience won't feel as if you've crammed it down its throat! 5. Shade the degree that Point and Counterpoint are Good or Bad. Because you are going to include multiple instances or illustrations of the goodness or badness or your point and counter point, you don't have to try to prove your message completely in each individual scene. Rather, let the point be really bad sometimes, and just a little negative others. In this manner, Greed may start out a just appearing to be irritating, but by the end of the story may affect life and death issues. Or, Greed may be as having devastating effects, but ultimately only be a minor thorn in people's sides. And, of course, you may choose to jump around, showing some examples of major problems with Greed and others that see it in not so dark a light. Similarly, not every illustration of your Counterpoint has to carry the same weight. In the end, the audience will subconsciously average together all of the illustrations of the point, and also average together all the illustrations of the counterpoint, and arrive at a relative value of one to the other. For example, if you create an arbitrary scale of +5 down to -5 to assign a value of being REALLY Good (+5) or REALLY Bad (-5), Greed might start out at -2 in one scene, be -4 in other, and -1 in a third. The statement here is that Greed is always bad, but not totally AWFUL, just bad. Then, you do the same with the counterpoint. Generosity starts out as a +4, then shows up as a +1, and finally ends up as a +3. This makes the statement that Generosity is Good. Not the end-all of the Greatest Good, but pretty darn good! At the end of such a story, instead of making the blanket statement that Greed is Bad and Generosity is Good, you are simply stating that Generosity is better than Greed. That is a lot easier for an audience to accept, since human qualities in real life are seldom all good or all bad. But there is more you can do with this. What if Generosity is mostly good, but occasionally has negative effects? Suppose you show several scenes illustrating the impact of Generosity, but in one of them, someone is going to share his meal, but in the process, drops the plate, the food is ruined, and no one gets to eat. Well, in that particular case, Greed would have at least fed one of them! So, you might rate that scene on your arbitrary scale as a -2 for Generosity. Similarly, Greed might actually be shown as slightly Good in a scene. But at the end of the day, all of the instances of Greed still add up to a negative. For example, scene one of Greed might be a -4, scene two a +2 and scene three a -5. Add them together and Greed comes out to be a -7 overall. And that is how the audience will see it as well. This approach gives us the opportunity to do some really intriguing things in our thematic argument. What if both Greed and Generosity were shown to be bad, overall? By adding up the numbers of the arbitrary scale, you could argue that every time Greed is used, it causes problems, but ever time Generosity is used, it also causes problems. But in the end, Greed is a -12 and Generosity is only a -3, proving that Generosity, in this case, is the lesser of two evils. Or what if they both added up Good in the end? Then your message might be that Generosity is the greater of two goods! But they could also end up equally bad, or equally good (Greed at -3 and Generosity at -3, for example). This would be a message that in this story's particular situations, being Greedy or Generous doesn't really matter, either way; you'll make the situation worse. In fact, both might end up with a rating of zero, making the statement that neither Greed nor Generosity has any real impact on the situation, in the end. Now, you have the opportunity to create dilemmas for your Main Character that are far more realistic and far less moralistic. And by having both point and counterpoint spend some time in the Good column and some time in the Bad column over the course of your story, you are able to mirror the real life values of our human qualities and their impact on those around us.